Hi! How goes it? 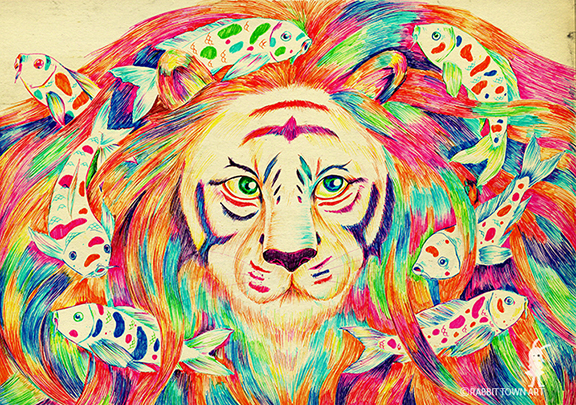 Not quite sure why I went all colorful with this illustration...felt the rainbow mood I guess! It was a rather busy day today. There were some glitches in the file I was working on which was very irritating. Ugh! I found a work around but it's not ideal. Going to need to see if I can find another solution tomorrow. It's going to be a big working day tomorrow. I have a few things I need to get done and I need to sort out the other gigs too. Busy, busy! I should do some work tonight but my drawing brain feels like it short circuited. Boo!